Kristen McKenney Baggett holds a BA in English Literature from St. Edwards University as well as an MA in Literature from UTSA. She has taught high school English, worked as an editor, and has taught yoga to adults, seniors, and children for 15 years. She has worked for Yoga Day, teaching yoga in schools, since 2016 and is currently the Executive Director. Kristen is the creator of the Yoga in Schools workshop for teachers and facilitates training yoga teachers to work with children. Hi! I'm Dr. Heather Herschell- happy wife, mom of two, lecturer and field supervisor at UTSA, yoga teacher, and Yoga Day volunteer. I have taught a wide variety of students, delivering many different kinds of content, in a list of settings so diverse you might think I’m making some of them up! No matter what I’ve taught, or where I have taught it, I have always found this to be true- value the journey and the process over the product; honor the wisdom, humanity, and growth of each person; seek to serve and understand first- and you will be an amazing teacher. Teaching, when done well, is every bit as humbling as it is inspiring, and that is why we love it. I believe that nurturing mindfulness in classroom communities, and supporting the health and wellness of teachers is one of the most important ways we can help all students learn and grow. Yoga Day does just that- every day. 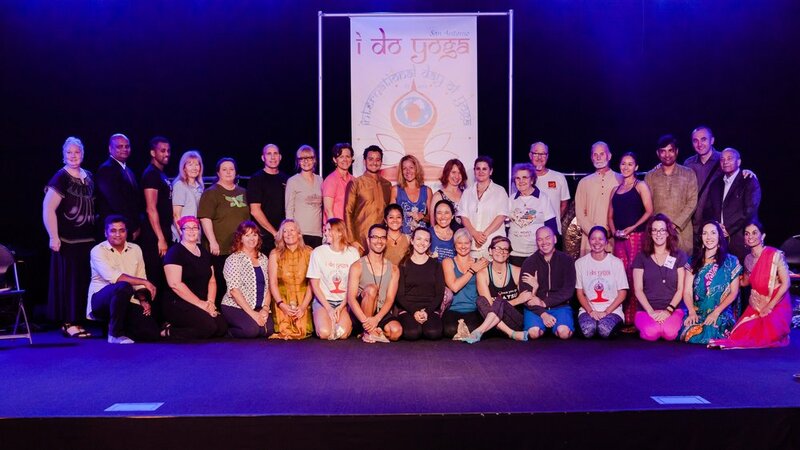 I'm honored to be a part of this inspiring organization and the work they do to change lives through yoga! Deborah Livingston is an educator with thirty years of experience. She is a graduate of Trinity University with a BA in English and Middlebury College with an MA in Literature. In an effort to help her students transition from the chaotic hallway to the studious classroom, she happened upon on mindful breathing. Through this simple technique, her students settled into the learning environment. From this result, Deborah began her study of meditation culminating in her study with Cyndi Lee of OM Yoga resulting in Deborah’s certification as a meditation teacher. Volunteering with Yoga Day, Deborah currently teaches and facilitates meditation for end-of-life teenagers at Methodist Children’s Hospital in San Antonio. Through her own meditation practice, she has learned the benefits of meditation. Rita Duggan loves all things yoga and teaches at Yoga Day senior centers. After a long career with the Federal government, she now enjoys introducing yoga to people who think they are too old, too inflexible, or who are doubtful they can benefit from the practice. When she's not in the yoga studio, Rita and her husband Michael enjoy performing in local theatrical productions, singing in their church choir, traveling, and keeping up with their 8 children and 4 grandchildren.